Their doctors will say you’re not sick: The DWP’s new policy is another sign of disrespect to PROPER health professionals across the UK; their diagnoses aren’t good enough for the Department. It’s bringing its own people in, to pretend more sick people are actually healthy, no doubt. “People on sickness benefits will be required to have regular meetings with doctors, occupational health nurses and therapists to help them address their barriers to work – or face losing their benefits,” the Department for Work and Pensions announced yesterday. The initiative was revealed under the euphemistic headline ‘Help for people on sickness benefits to address barriers to work’ and shows yet again that ministers in the DWP do not understand the meaning of the word “sick”. “Around 3,000 people on Employment and Support Allowance (ESA) who have been assessed as being able to work in the future will have regular appointments with healthcare professionals as a condition of receiving their benefit. 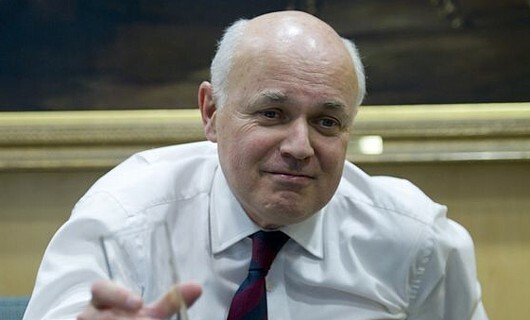 The meetings will focus on helping claimants to move closer to being able to get a job,” the DWP press release states. This is all very well, but has it not occurred to DWP officials that perhaps a person who is off work because of illness may already be involved in meetings with healthcare professionals? This is anecdotal evidence, I know, but Mrs Mike has attended many, many appointments with her GP, physiotherapists, osteopaths, other back specialists, nerve specialists, surgeons, she’s had MRI and CT scans, spent a week at the pain clinic in Bronllys Hospital (recently featured on a BBC documentary which notably focused on its successes and not its failures – it does have them) and is currently due to attend an appointment at the orthopaedic hospital in Gobowen. What do DWP officials think its people can do, that these specialists – who are experts in their field – cannot? Employment minister Mark Hoban trotted out the usual line that “we need to ensure that people who are able to work get the encouragement they need to get a job, while those who are too sick to work get real support”. What, by threatening them with losing their sole source of income? That’s not encouragement – it’s bullying; it’s threats; it’s intimidation. The thought of the DWP – an organisation that absolutely refuses, under any circumstances, to publish the number of people its policies are killing every week (or have killed already) – claiming it is trying to help people into work is laughable. The fact that it will do this by threatening to remove their benefits is serious to the point of being deadly. The release goes on to remind us all that people in the work-related activity group of ESA recipients already have ‘work-focussed interviews’ with Job Centre Plus staff as a condition of receiving their benefit. This is true – Mrs Mike attended and, due to her interest in finding work, was passed on to a work programme provider who immediately – within one telephone conversation – told her she was not fit for any kind of work, the Atos assessment had put her in the wrong group and she must seek re-assessment with a view to going into the support group immediately. That was in January; the DWP has been dragging its heels somewhat. I would say this demonstrates the department’s real concern for people with long-term health problems (almost as much as those nebulous death figures). In the pilot area, the press release states, the work interview would be replaced by meetings with healthcare professionals – provided by the DWP. The length and frequency of the meetings would be flexible, depending on the individuals’ needs. Would these healthcare professionals by contracted in from private health companies? If so, isn’t this just another ‘bung’ of taxpayers’ cash to friends of the Conservative ministers in charge of the DWP? Does anyone else sense yet another monumental, Work Programme-style waste of taxpayers’ cash on the horizon here? “The regular discussions will focus claimants on how they can improve their view of their readiness for work by taking steps to manage their health issues,” the release claims. “They will not replace a person’s GP, but can promote health support and help a claimant to re-engage with their GP if they are struggling to adapt to their condition.” Plausible language, but let’s remember this is DWP doublespeak, so we must not expect anything of the sort. Healthcare professional-led – mandatory engagement with health care professionals. Interestingly, this will use funding from the European Social Fund. How they managed to persuade the EU that this was a good idea defies rational explanation. The pilots will begin in November and will run until August 2016 – so, if there’s any justice, they will be terminated in May 2015 when a sensible government takes over. This depends on whether Labour can devise any reasonable ideas for Work and Pensions in the next 18 months or so, of course. The pilots will involve people on ESA in the work related activity group who are expected to be able to return to work in 18 months or over – based on the flawed Atos work capability assessments that we all know make wrong decisions in an unacceptable number of cases. While we’re discussing ways of getting sick people off-benefit (which is what this is about – never mind putting them back into work), I wonder whether DWP officials partaking in this scheme will also employ the “Pester Power” strategy? Apparently it is employed by staff “who bully claimants by hanging up on them and aggravating stressed, angry claimants, losing paperwork etc to create misery – sanctioning etc… Their horrid phone service is privately operated and numbers changed regular[ly] – wrong numbers given out – and it generates nice profits for that private company, and there’s supposed to be a free number for mobile callers but no-one gets told… I was so shocked [by] what I was told, I forgot to ask [for] it”. 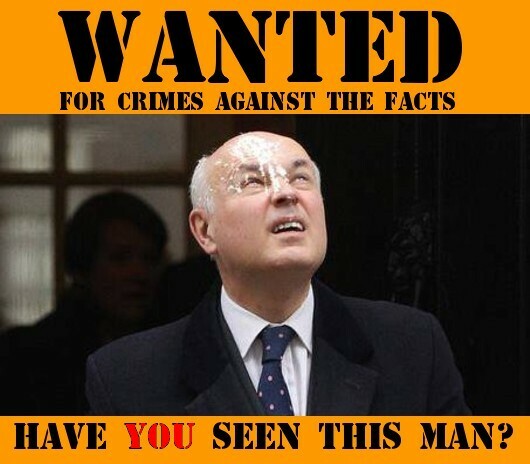 Following on from the negative response to my Freedom of Information request about the Atos/DWP deaths, we all know that the DWP is monitoring this blog – so how about making yourselves useful? Why not come out of the undergrowth and give us some useful information about this alleged strategy? Come to that, why not come out of the undergrowth and give us the facts about the number of people who are dying because of the fatal policies practised by your department? You do realise, don’t you, that your continued participation involves you in mass murder, don’t you? After the response to the FOI request, I see no reason to give any of you the benefit of the doubt; not only are you participating in a scheme that leads to death – it is revealed as a scheme that is intended to cause death. You don’t cover up mass deaths, with an intention to continue the policies that cause them, without intending to induce those deaths. That’s murder. If you are an employee of the DWP involved in this process, then you are implicated. There will be trials; the dead will have justice. And, just as in Nuremberg in the 1940s, saying you were “only following orders” will not help you. You should consider a change of career.